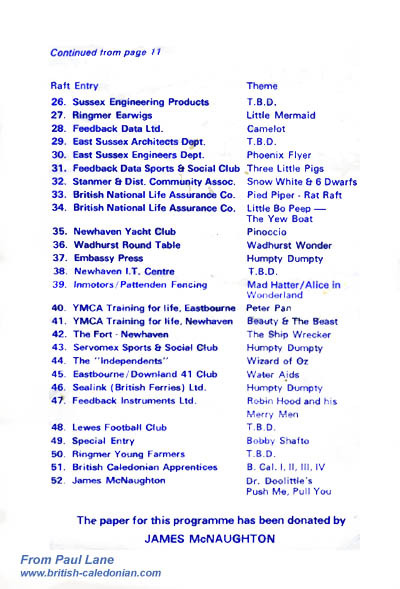 In 1987, my cousin from Gibraltar worked in the UK for the Gibraltar Tourist Office in the Strand, London. 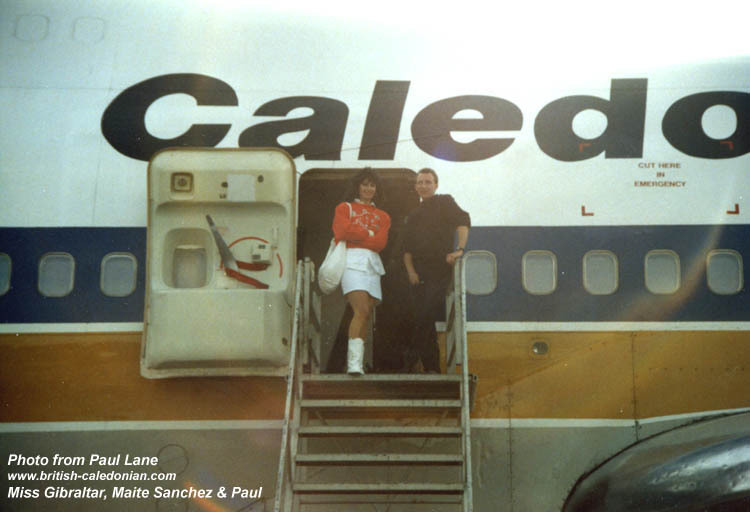 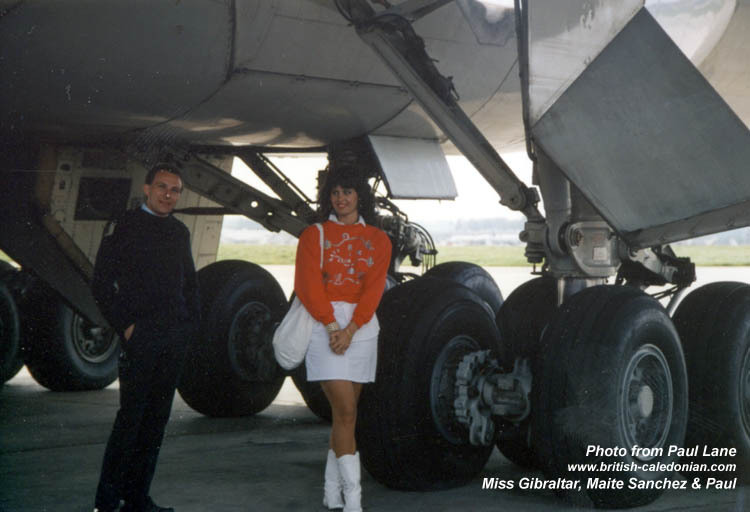 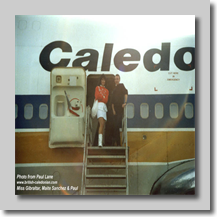 Miss Gibraltar, Maite Sanchez, was due to pass through Gatwick enroute from Gibraltar to Singapore (via Hong Kong) with BCAL. 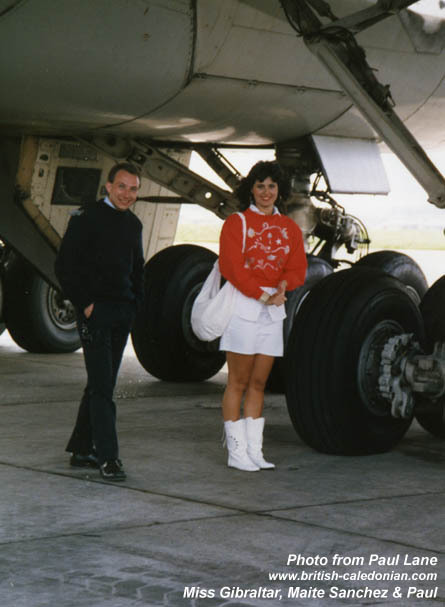 As she had a fair bit of time to kill between the flights, he was charged with looking after her. 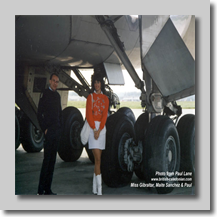 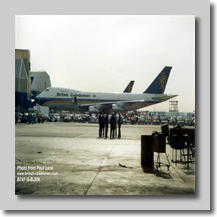 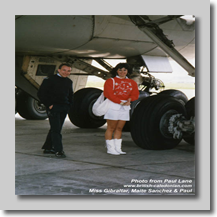 Between us we came up with the idea of us giving her a tour of the BCAL Engineering base! 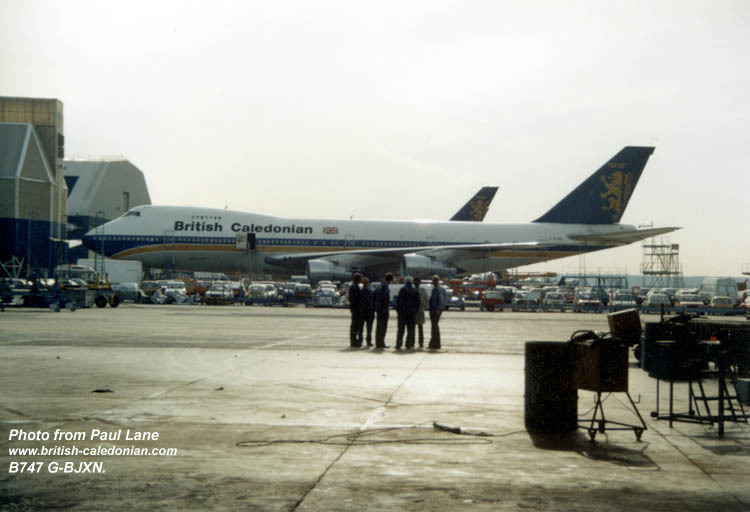 The tour included Boeing 747, G-BJXN and here are the photos. 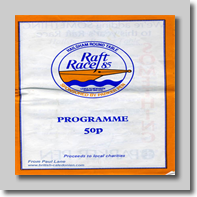 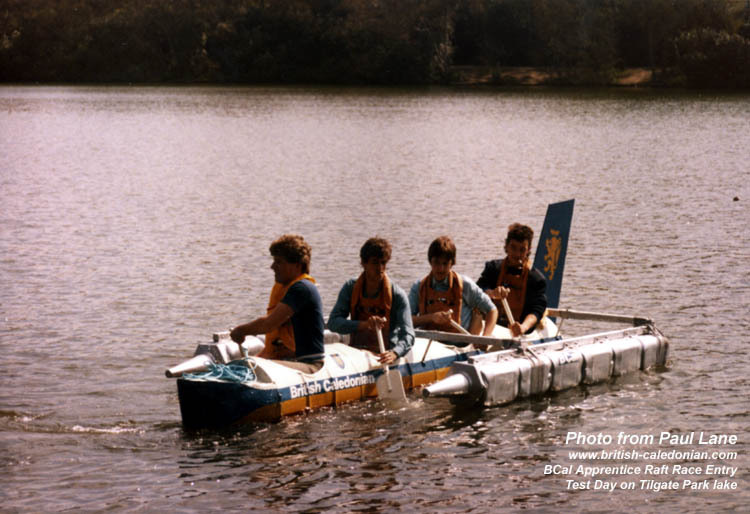 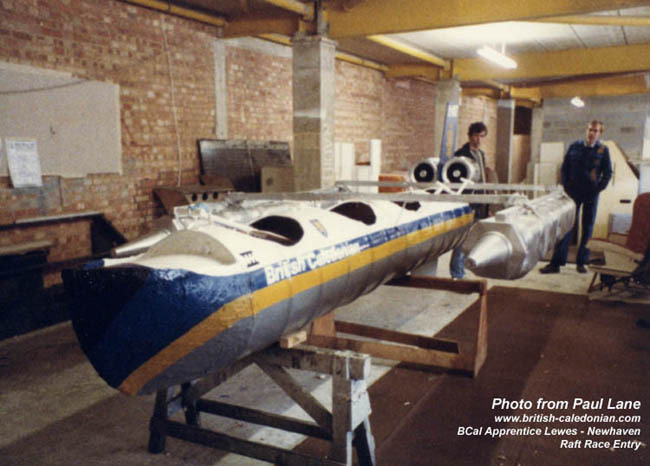 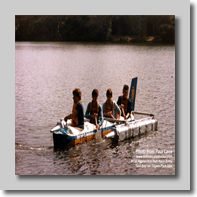 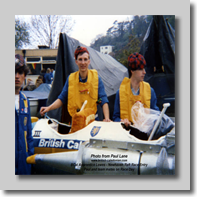 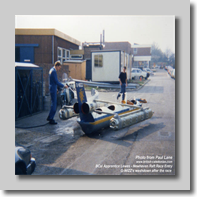 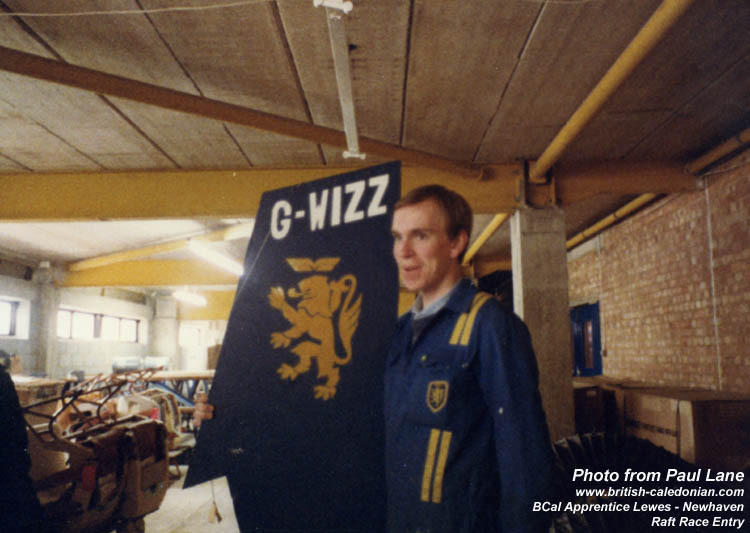 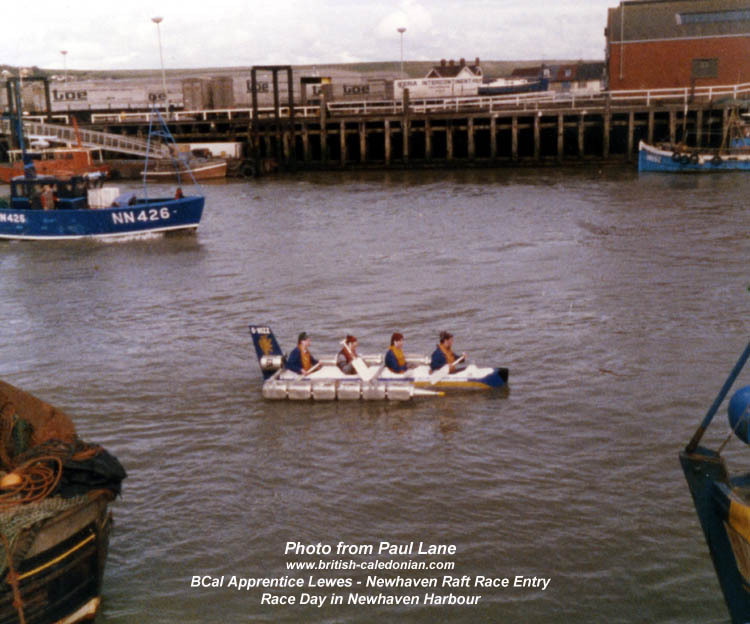 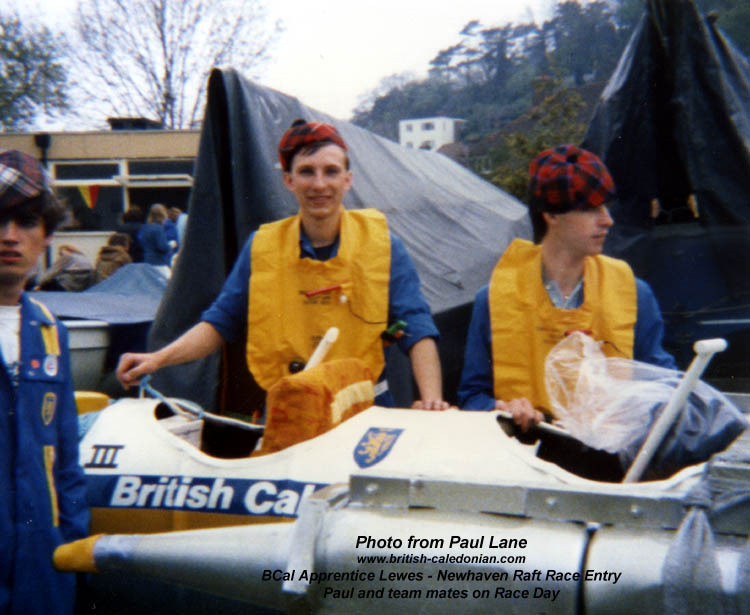 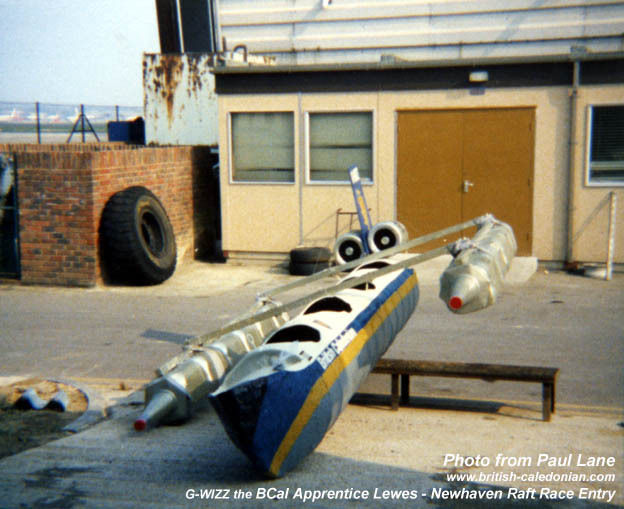 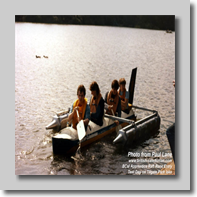 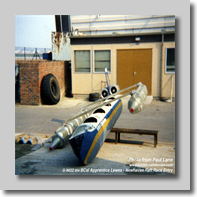 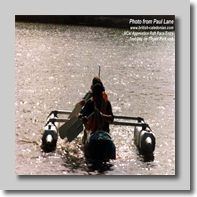 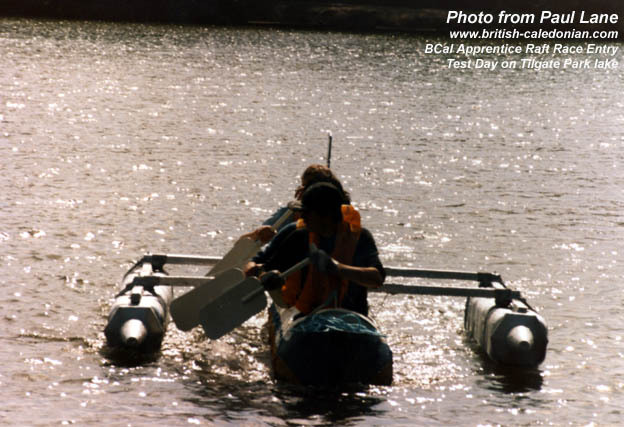 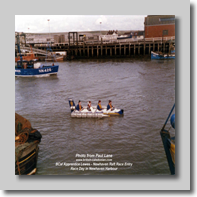 In 1985, all 4 years of the engineering apprenticeship scheme entered the Lewes to Newhaven Raft Race. 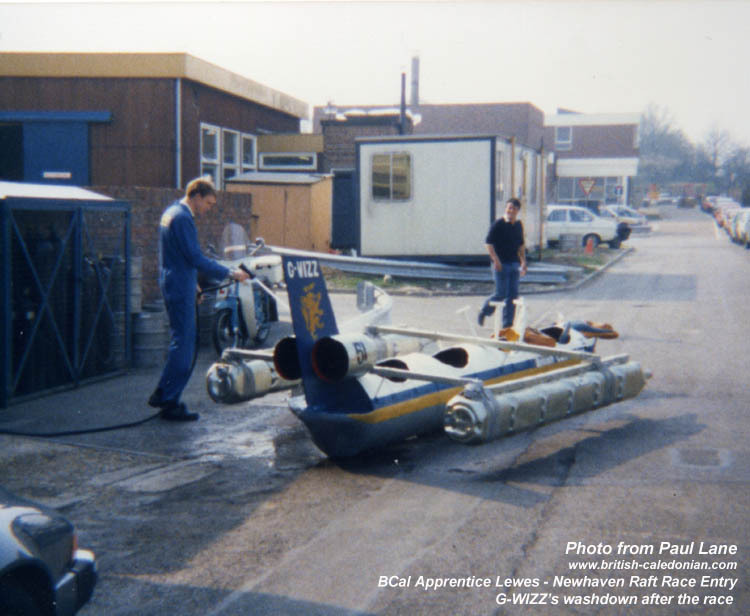 I was then in the third year so was in team III. 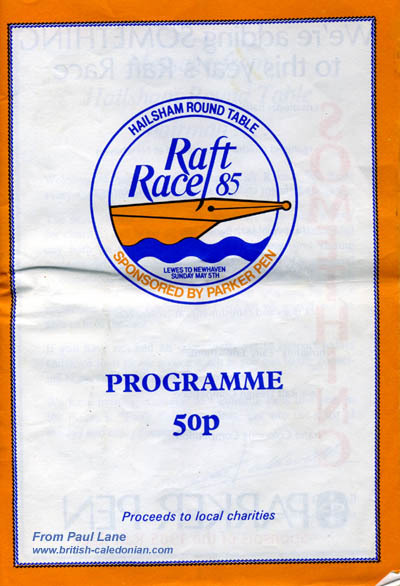 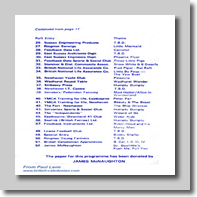 Here are some pictures of the Race Programme, our entry number was 51. 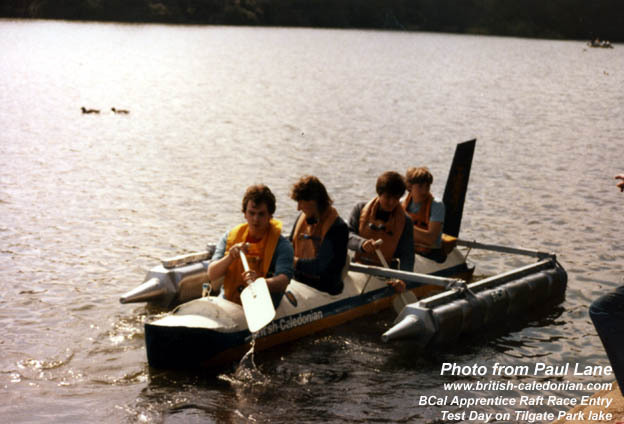 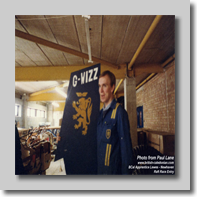 Also some photos of the building of G-WIZZ, our raft and the testing in Tilgate Park and the race itself.